NBI Clearance is a government certificate that ensures you’re cleared and has not committed any criminal act. 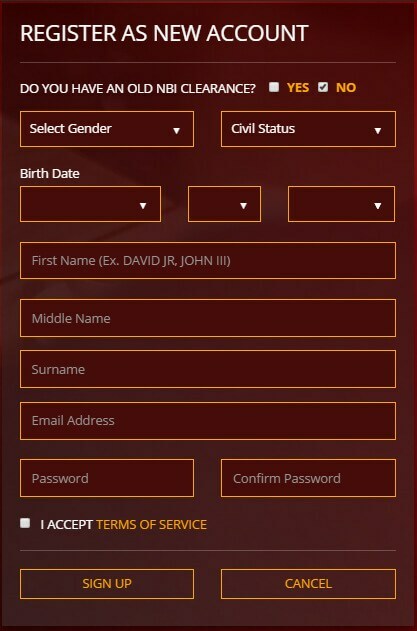 This is accepted as a valid ID in the Philippines. Effective this year 2017 onwards, NBI Clearance Processing strictly implements the “No Appointment No Entry Policy”. 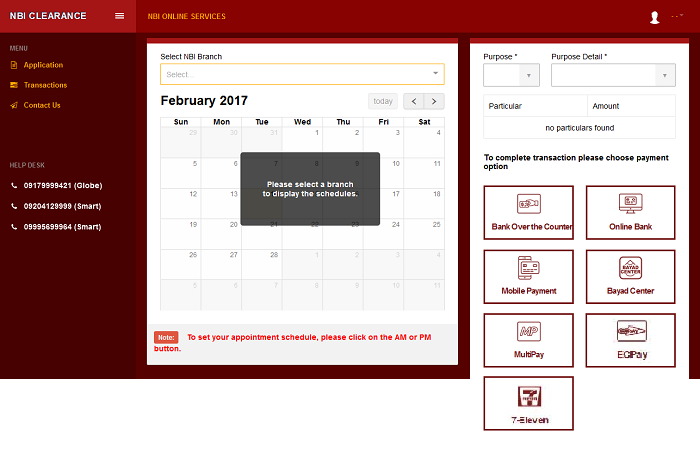 No appointment will be available on the same day of application. No walk-ins. 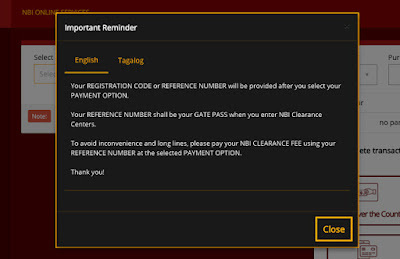 All NBI Clearance applicants should register online and set an appointment date. 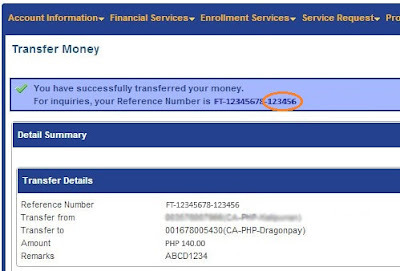 Here's how to process for NBI Clearance Online (with pictures). Note: The dates and reference numbers in this tutorial are not realistic. Okay, let's do this. 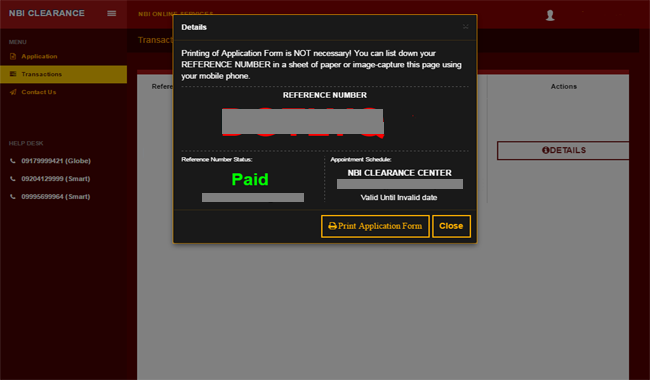 Step 1: Go to NBI Clearance website. Sign in if you already have an account. 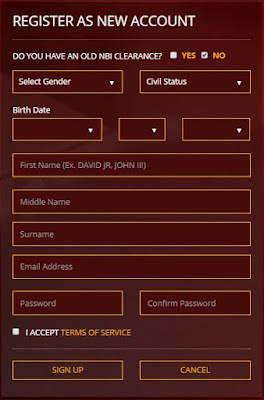 Else, register as new account, accept the terms then hit Sign Up. 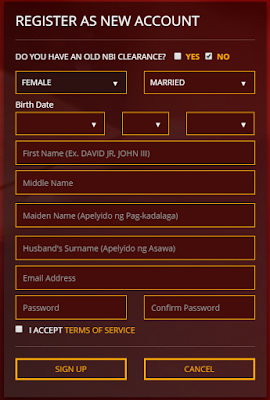 For a married female, Maiden Name and Husband's Surname fields will appear. Step 2: When Sign Up is clicked, a confirmation window will prompt. 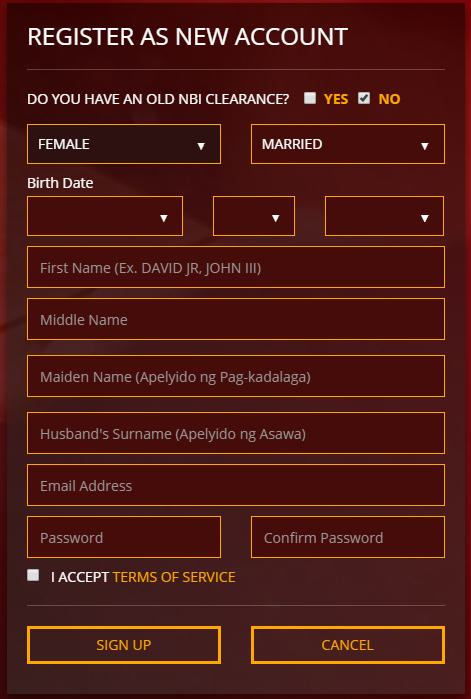 For a married female, do not be confused with the data in this confirmation window. The last name reflected here will be the Maiden Name that you entered in the Sign Up window. ***Check before you hit YES because you cannot edit the data once you've confirmed. 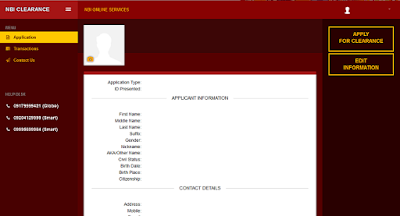 Step 3: After confirmation, you will be redirected to this applicant's information. 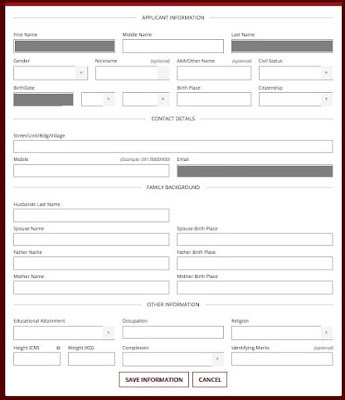 The 4 fields from the confirmation window will be blocked in this form. That means you cannot edit them anymore. 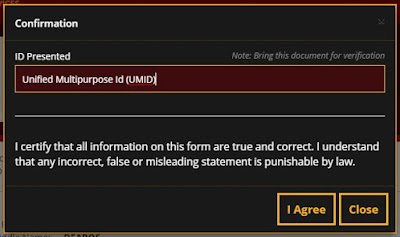 Fill out this form, double-check, then click Save Information. Step 4: You're now registered to NBI Clearance online. 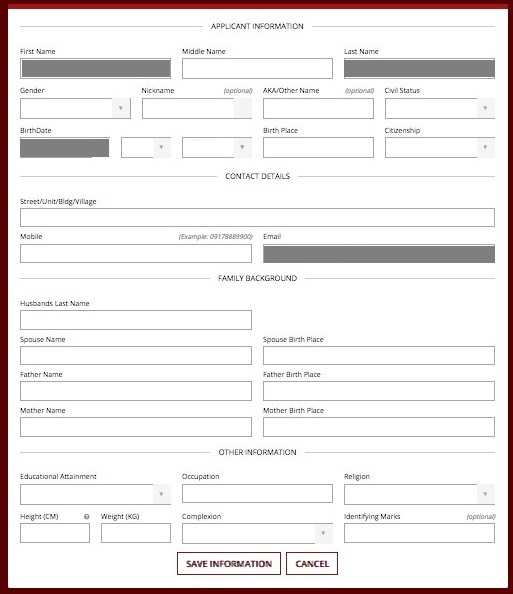 Click the NBI logo to go to homepage, sign in then click Applications tab. Your profile information will be shown on this page. 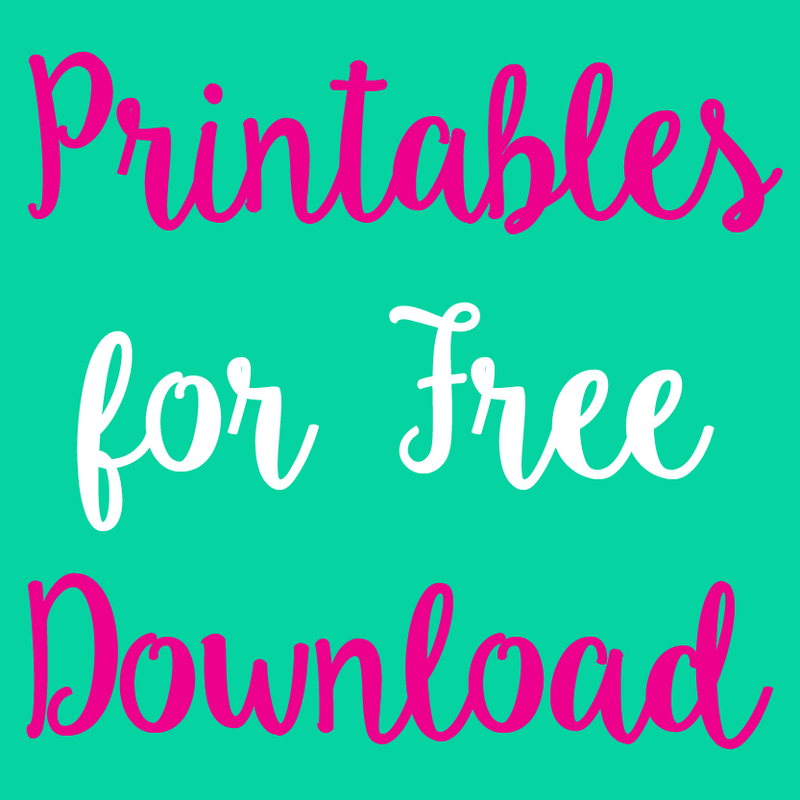 The picture below is edited as blank for illustration purposes only. If still, you want to revise some details (except the 4 data mentioned above), click on the Edit Information button. 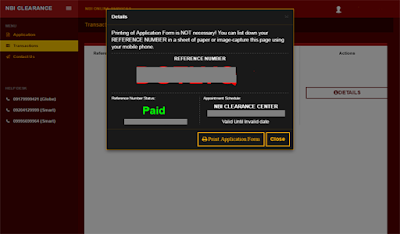 If all details are correct, click the Apply for Clearance button. ***These 2 buttons are not visible on mobile phones or tabs. I rotated the phone screen and toggled to desktop site access but to no avail. So I recommend doing this on a laptop or computer. Step 5: Another window will appear that asks what ID you have. 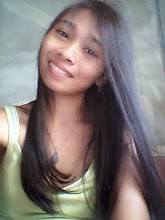 That ID will be presented at the NBI Clearance Office for the final step. 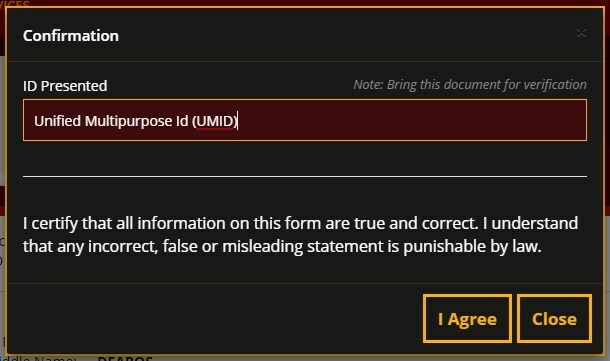 Next, click the I Agree button. ***Almost after every step, a reminder will appear. Always read thoroughly every reminder they show so you won't miss out anything. Step 6: Select from the drop-down menu the nearest branch you see. 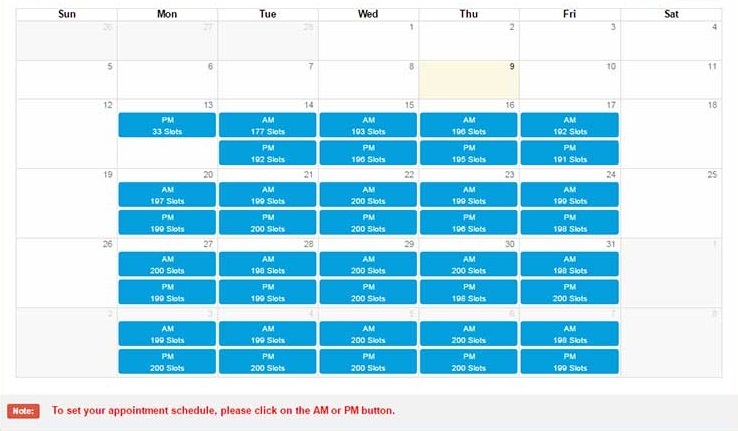 Step 7: The calendar will show available slots. 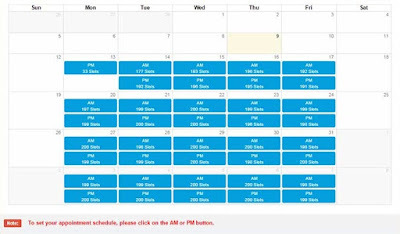 Choose AM or PM on a day that you prefer for your NBI Clearance appointment. ***Make sure that you come on the date of your appointment, failure to do so will not be given another chance for an appointment within the next 30 days. Step 8: Select Purpose whether for Local or Abroad. The Purpose Detail will be Multi-Purpose Clearance. The appointment date and breakdown of fees will be reflected right after. 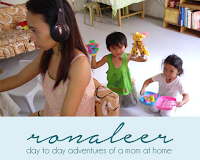 An amount of PHP 25.00 e-services fee is included. 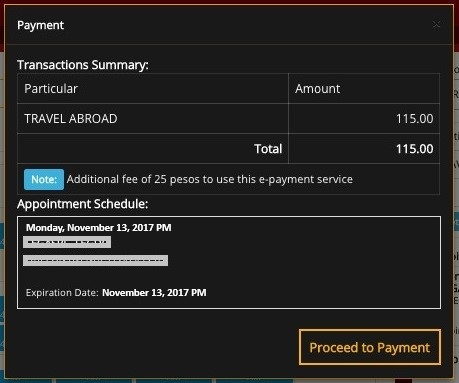 Another reminder to guide you through the payment process. Step 10: Here's what the Transaction Summary or Payment Page will look like. 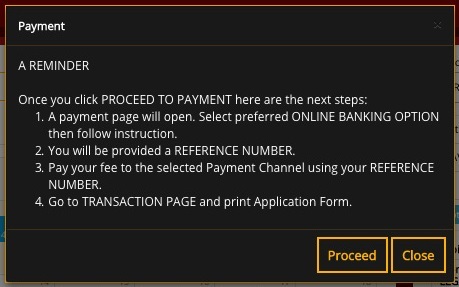 Click the Proceed to Payment. 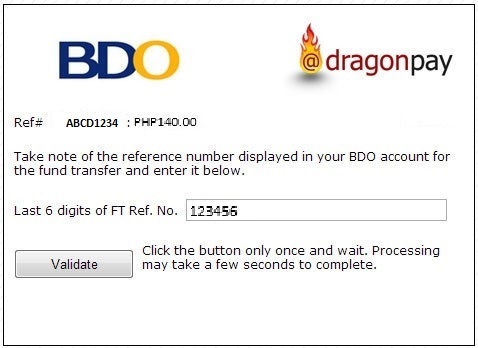 Step 11: Write down your DragonPay Reference Number. This will be entered in paying the fees. 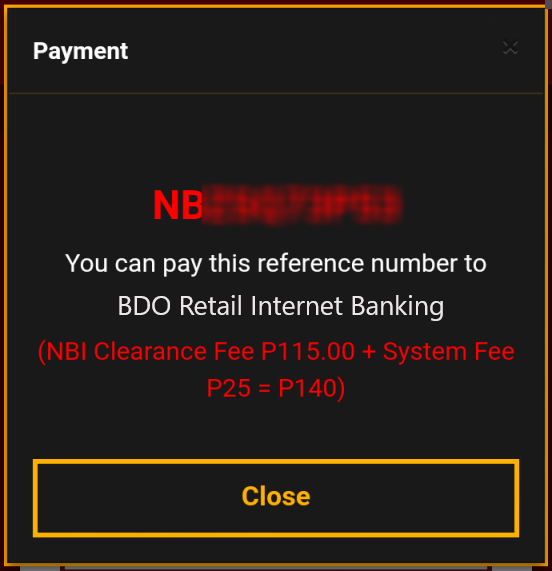 Step 12: Click the Transaction tab under Menu of the NBI Clearance website. The status will show Pending because payment has not been made yet. 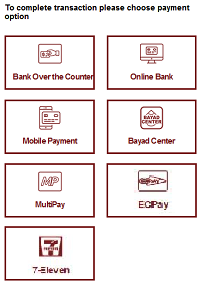 Click the Payment Instruction button to guide you. 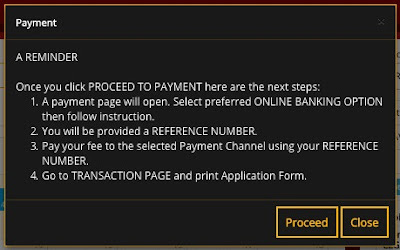 Step 13: Every payment option has a different instruction. 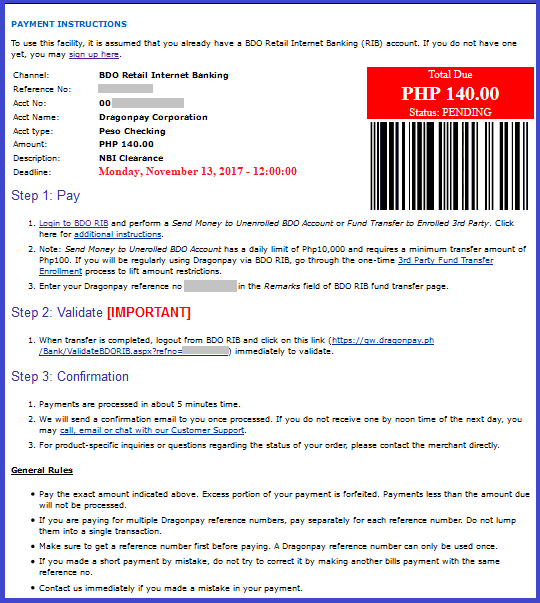 Here's the Payment Instruction for BDO Retail Internet Banking. 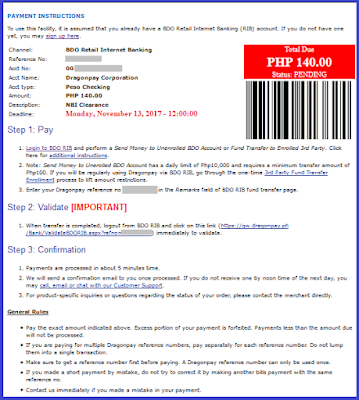 Notice the deadline, payment should be done before the indicated time. Step 14: After doing the step 1 from the Payment Instruction, copy the last 6-digits of the FT reference number displayed on the screen. 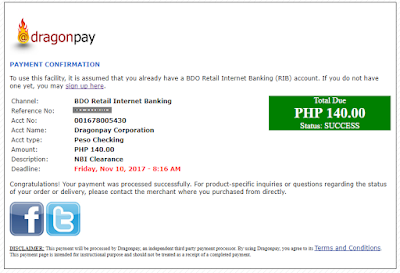 You will need these numbers to validate (step 2) your online payment with Dragonpay. ***Take note of this step because this part was left out from the Payment Instruction. Step 15: On the DragonPay Validation page, enter the last 6-digits of the FT reference number. Step 16: Wait about 5 minutes for this confirmation. These details will be sent to your email as well. 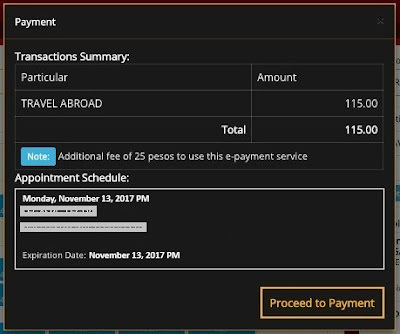 Step 17: To verify, on the Transactions tab you will see that the Status will be changed to Paid. 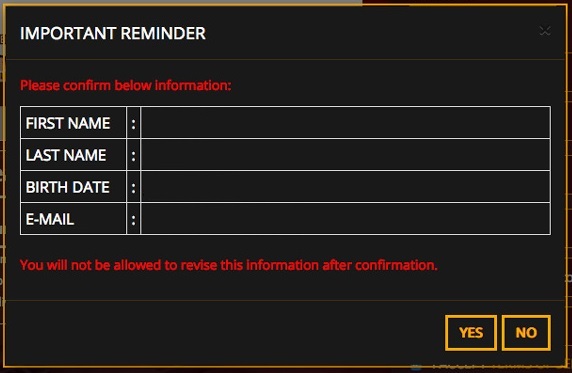 Payment Instruction and Cancel buttons will also be gone and replaced with a Details button. When you click on the Details button, a window like this will prompt. Done! You may now process your NBI Clearance in the nearest NBI Clearance Office. Bring 2 valid IDs and dress appropriately. Have your picture and biometrics taken. If your name is not on the HIT list, you will get your NBI Clearance fresh from the printer right after. 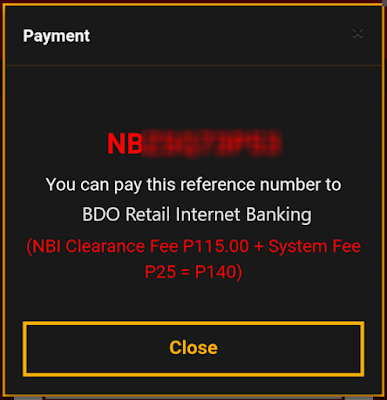 NBI Clearance expires after only a year. The validity does not last a lifetime for a reason that you might be in a criminal case. Should you need another one, just do the procedure again. Do not worry, the Anaconda-like queues at NBI offices are now gone.